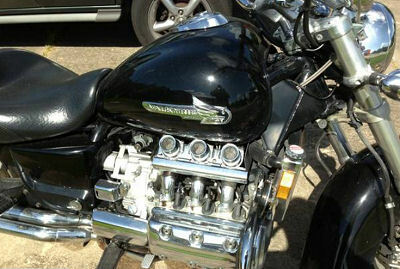 The 1999 Honda Valkyrie for sale is a 6 cylinder and has just 41k miles with additional windshield and bag chrome. The engines on these big, comfortable cruisers are good for 200k or more. Pictures won't do this bike justice; you have to see it and it runs and rides GREAT! If you would like to write a review or voice any opinions on the 1999 model Honda motorcycle for sale, you may use the comments form below this ad to do so. Thanks for visiting GoGoCycles Used Motorcycles for Sale and for taking a look at my 1999 Honda Valkyrie . My location is is Decatur AL near Atlanta GA and in my opinion my asking price is cheap enough that it can't be beat on Craigslist or on Ebay; $5900. If you want to take a look or have questions, call me (NO EMAILS) or text me at Twofive6foursixsix06three8 for more details and don't forget to mention that you found this ad on GoGoCycles Used Motorcycles and Parts for Sale www.gogocycles.com.